On this day, awhile ago shall we say, I was born in Winnipeg, Manitoba to my beautiful mother, Sheila Joy Richard Phillips and my father Edmond Guillaume Daniel Beauchamp. 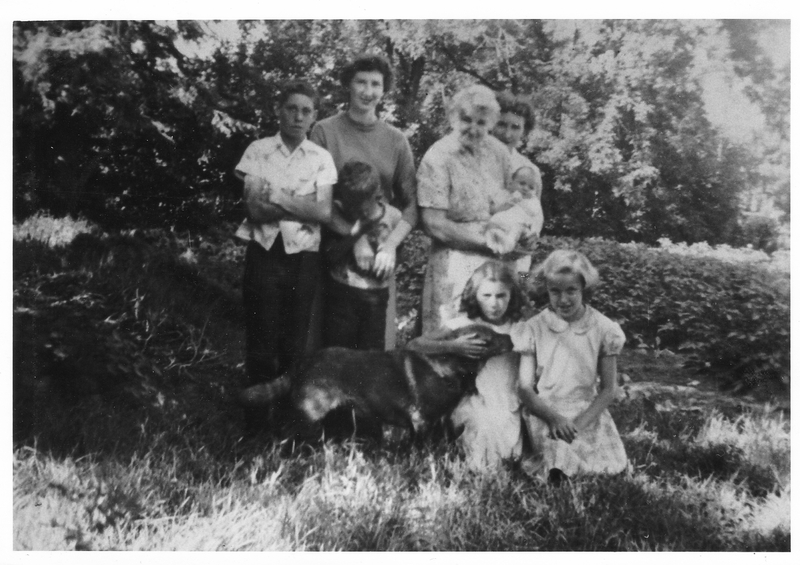 I was a bonny wee lass, here in the arms of my maternal grandmother, Jane Smith Phillips. I was a bit fussed over, being the first child of a couple who were head over heels. Both had a rough childhood, my father being the victim of polio when he was young and losing the use of his right forearm. 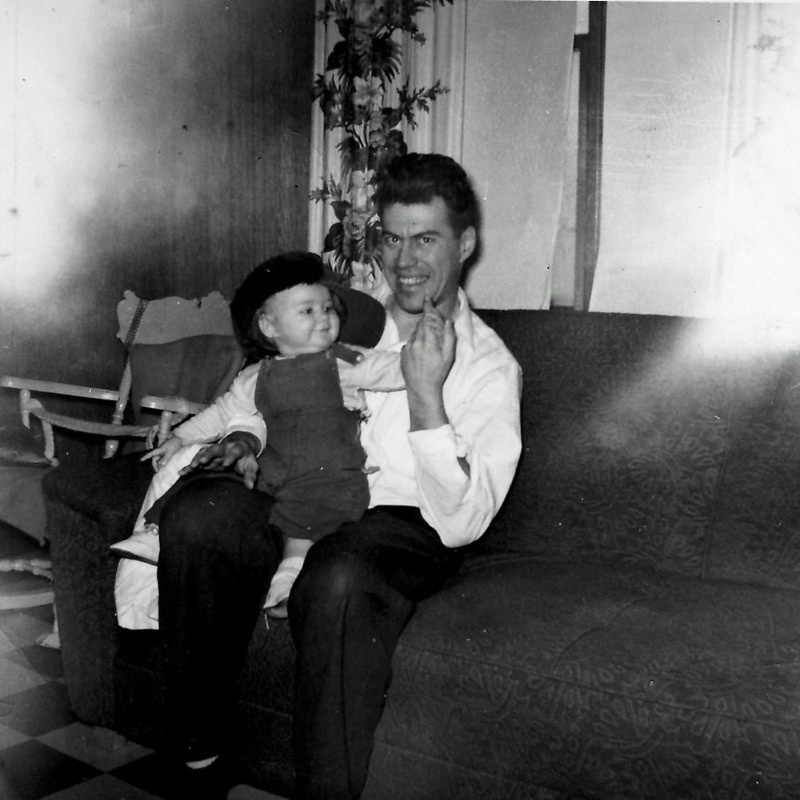 My mother was shipped off when she was 16 from the farm to the city. 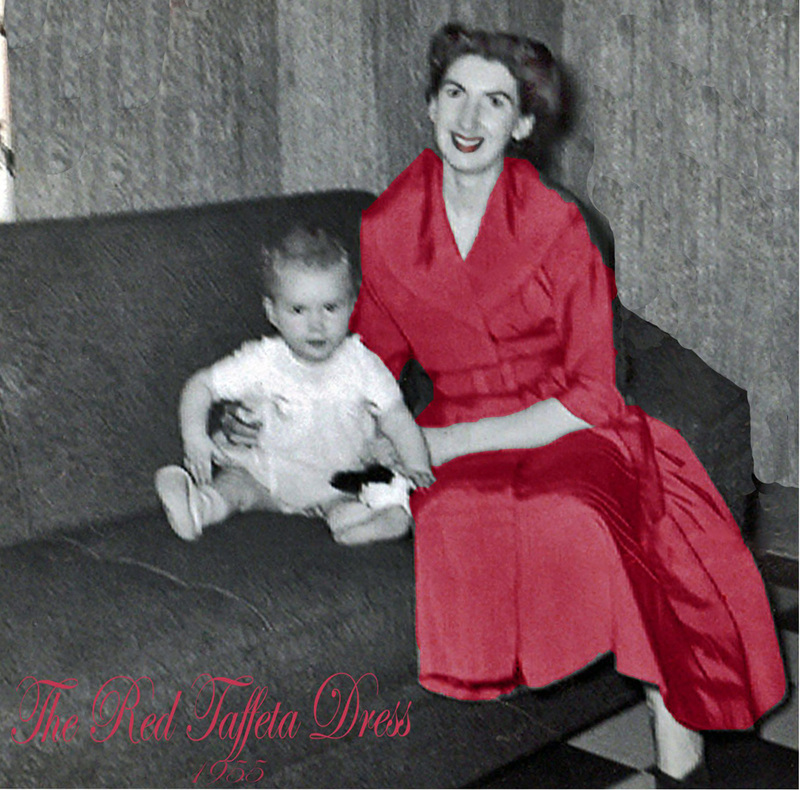 On the back of another photo, he had written, “This was a proud day for Mom too in her bright red taffeta dress”. It inspired me to create this picture of Mom and I. She just looks radiant. What they were celebrating I don’t know. There were many hard times ahead of them but on this day I want to say thanks to Mom and Dad for making me the person I am today. You taught me hope and determination and love of family. Thank you.